When the Federal Aviation Administration (FAA) introduced new guidelines, or Part 107, in June 2016, it opened a window for energy companies to employ drones in their day-to-day operations. Today, with the increased availability of UAS, a shift is occurring in the way utilities companies conduct maintenance and inspections. Through reduced costs, time-saving and data gathering abilities, drones are steadily replacing traditional practices in the oil and gas industry, in particular. 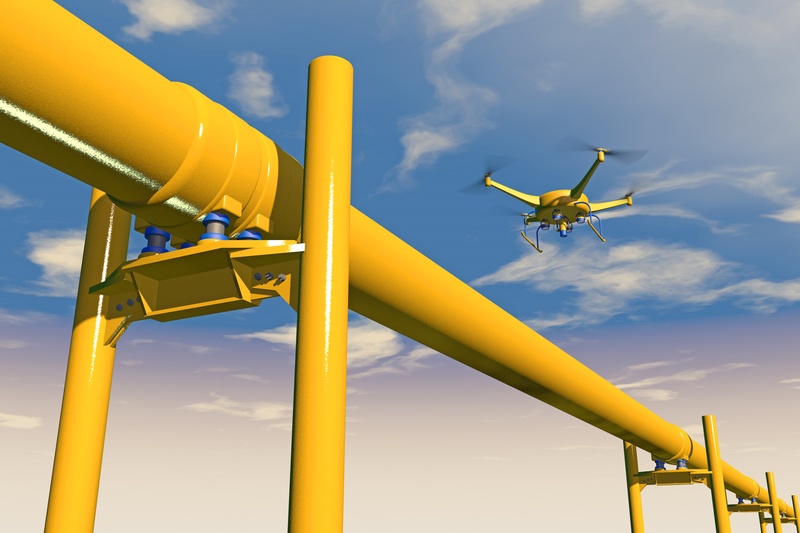 Oil and gas companies, and the utility sector in general, are trending toward drone use in a variety of functions. From 3D mapping to safer inspections to real-time aerial information of leaks and spills, here are the top three uses of drone technology and situational flight data in the industry. Drone Data Uncovers Trends Invisible to the Human Eye. Sophisticated data gathering and analytics provided by drone technology helps operators analyze sensor information from offshore and onshore sites, which flags potential issues the human eye cannot detect. For instance, many energy giants are turning to drones to search for corrosion prone areas on oil rigs so they can plan safe and productive drilling operations. Data from Oil and Gas Drone Inspections Support Cost Efficiency. Engineers traditionally monitor oil wells manually and rely heavily on manned aircraft or road vehicles to detect damage, invasive vegetation or leaks. Both methods are more expensive and less efficient than a drone solution. Pipeline leaks, for instance, are a growing global concern. Statistics estimate that the market spends $37 billion a year globally just in monitoring such threats. By employing UAS technology, utility companies can automate oil and gas drone inspections with sensors that are a fraction of the current cost. UAS technologies can instantly calculate geological and seismic data to help these industries improve savings as well. Digital data collected from offshore platforms, oil rigs and other sites can better detect and uncover more efficient ways to produce oil and gas and even forecast future breakdowns or expensive complications. Drone Data Offers Productivity Gains. The amount of data drones can capture is giving oil and gas companies a major leg up on the competition. The use of drones allows for exhaustive, round-the-clock data collection and surveillance, all delivered in real-time. That data is more comprehensive and will better prepare and inform operators and command teams. By measuring drone-collected data, they can discover significant trends to inform and improve future operations. In fact, companies utilizing drone technology are experiencing significantly improved time efficiencies in maintenance, monitoring and post-operation analysis. These high-tech innovations are carrying the digital world into the oil and gas industry. Despite the sluggish pace of the FAA, the opportunities for UAS technology in the energy sector are vast. Continuously developing, the technology and its enhanced data-gathering capabilities are setting the stage for utilities and energy companies to improve efficiencies. However, due to the potential of drone collisions with manned aircraft, robust solutions like Simulyze’s Operational Intelligence (OI) platform are in demand; they improve flight safety in the U.S. airspace amongst all aircraft—manned and unmanned. OI delivers the situational awareness needed to enable UAS operators to operate safely and efficiently in congested airspace. To do this, Simulyze’s OI technology provides UAS operators with real-time flight plan data, airspace information and live flight data in any format, offering a Common Operating Picture (COP) and enabling well-informed decisions. To learn the many ways utilities companies can benefit from drones, download our infographic!